Since 1998, Atlanta International Airport (ATL) has been named the busiest passenger airport in the world. In 2014, more than 96 million passengers flew through ATL. 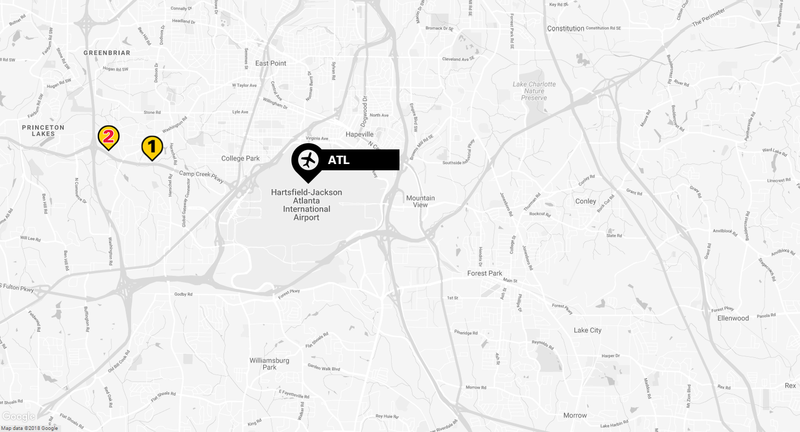 As with any bustling airport, finding parking at Atlanta Airport can be a challenge. Thankfully, The Parking Spot has your back when it comes to Atlanta Airport parking. The Parking Spot offers two parking lots for your convenience. No more circling ATL Airport parking lots to search for an open spot. Simply reserve your space at one of the lots, catch the free shuttle, and enjoy your trip.